The design for FTI Ringtail calls for a completely industrial open exposed ceiling look and feel, almost a raw strip out of design elements and bring out the true integrity of the space and building. All materials and finishes are raw and exposed to create the feeling of openness and collaboration between staff. FTI Ringtail, software development business work within the research and development of the legal industry, generally have a focus on communication and with this fit out of the ‘exposed and open’ element ties in with the essence of the business. 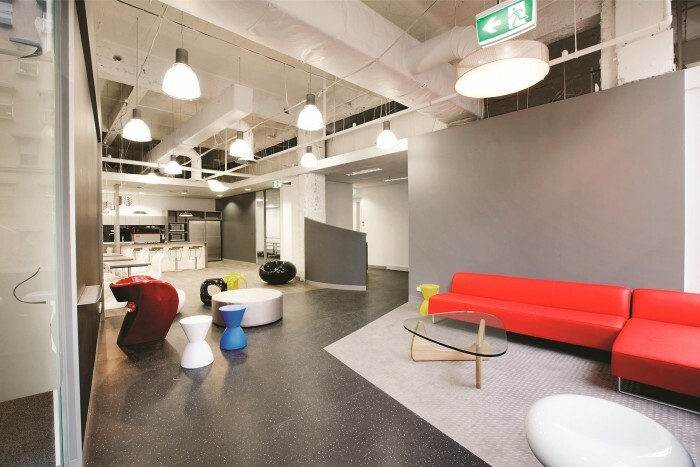 With issues involving the acoustics to the space, ODC recommended part dropped ceilings to the enclosed offices and meeting rooms, soft furnishing through-out the space, large meetings and breakout area.